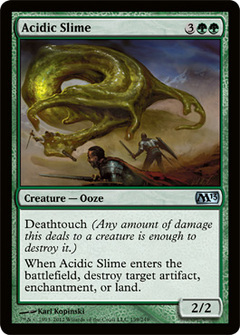 Acidic Slime ($0.18) Price History from major stores - M13 - MTGPrice.com Values for Ebay, Amazon and hobby stores! 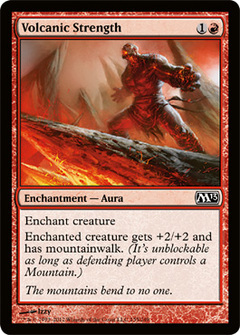 Card Text: Deathtouch (Any amount of damage this deals to a creature is enough to destroy it.) 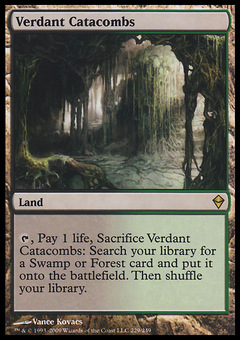 When Acidic Slime enters the battlefield, destroy target artifact, enchantment, or land.